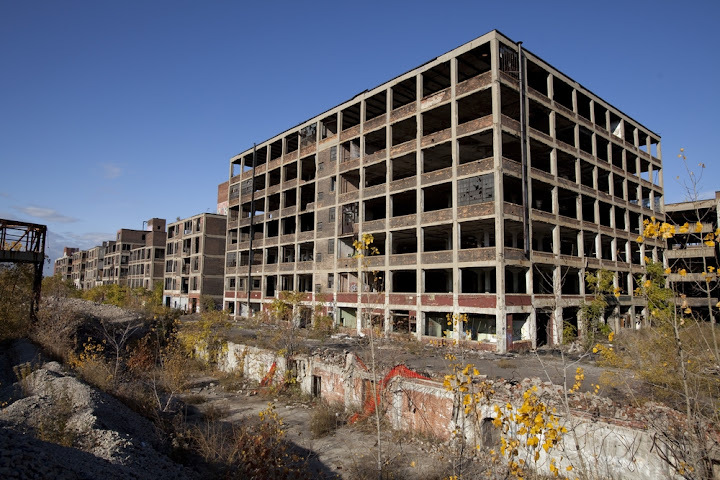 The Hemmings Blog reports that the sprawling former Packard plant in Detroit is soon scheduled for demolition. The factory built Packards from 1903 to 1954. One can only imagine the great cars that passed through that property. Of course, other businesses have come and gone, but the structure has deteriorated significantly over the years. It’s sad to see another piece of automotive history disappear forever. Check out the story here. Barn Finds is a blog that covers all those lost and forgotten cars that you dream about. 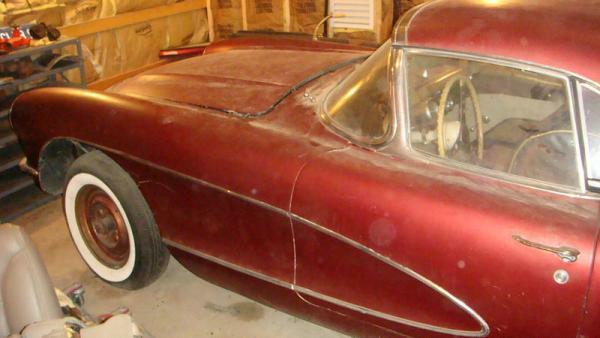 This story about a crusty 1957 Corvette that they discovered on eBay caught my eye. The story is that the customized Corvette has been in storage since 1963. The glittery black and gold interior and weather-beaten metallic burgundy paint may be an acquired taste, but the idea that this car has been hidden away all these years still strikes me as fascinating. See more pictures and the rest of the story at this link. NASCAR.com did a piece on the new 2013 Dodge Charger Sprint Cup car. A major criticism that many NASCAR fans have had with the current cars is that they don’t look like actual street cars. Frankly, they’re ugly. But Ford unveiled their new Fusion in Daytona, and it, along with this new Charger, looks much better than what they’re racing now. Meanwhile, there is a lot of talk about Chevrolet’s new Cup car, but until they unveil the actual new street car that it will be based off of (new Impala, some type of Holden-based rear-wheel-drive car, etc. ), the new Chevy will remain a secret. Learn more about the Dodge by going to this link. 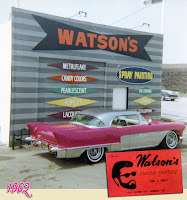 Rik Hoving has one of the best vintage custom photo collections on the planet, and his knowledge about the early days of hot-rodding is unmatched. 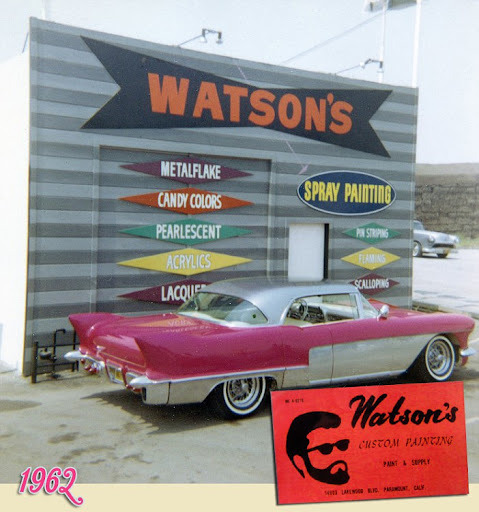 His blog has all kinds of interesting stories and eye candy, including this piece about the hand-lettered signs that decorated Larry Watson’s paint shops in the 1950s and ‘60s. There is always something fun to see on this website. Enjoy this particular story by visiting this link. You know I’m a big promotional model car fan, and one of the most comprehensive places for promo information and model sales is Clarence Young Autohobby. The website itself is a little difficult to navigate, but there’s a lot of good stuff there if you take the time to investigate. I liked the second story on this page about how he picked up a nice 1954 Chevrolet convertible promo, learned that the guy he bought it from took it out of the original wrapper just before he bought it, and went on to explore why it had a strange license plate glued to the back. OK, this might only appeal to model car nerds. 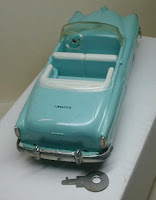 But this is a 58-year-old plastic toy car, and someone is still interested enough to try and learn about its history. Bone-up on your vintage model car history by visiting this link. I'll go first. I think this feature is a great idea. I really enjoyed (well, maybe enjoyed may not be the appropriate term) the piece on the old Packard Plant. The last Packard rolled off the line before I was born, but any car guy appreciates what Packard stood for. Life goes on but it's sad to see such a significant part of automobile history fall to the wrecking ball.